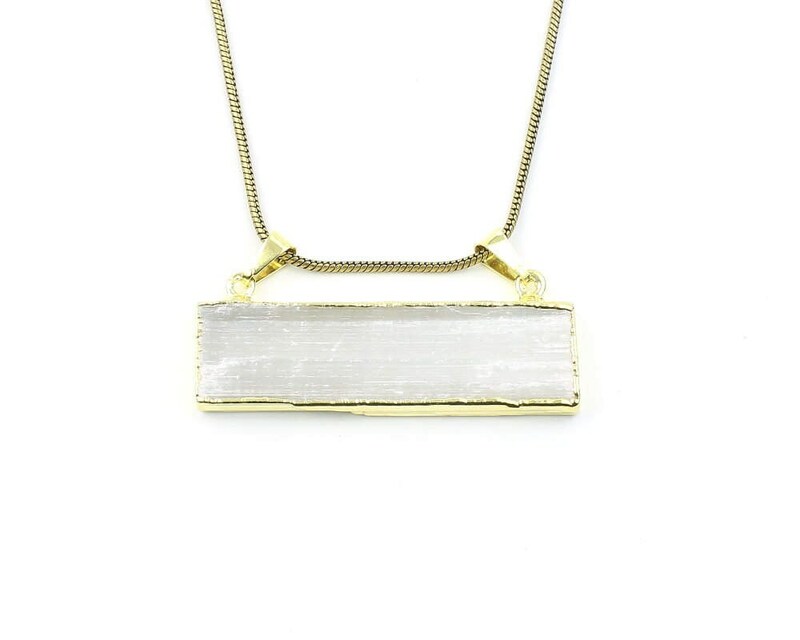 Stunning Selenite stone electroplated bar pendant. 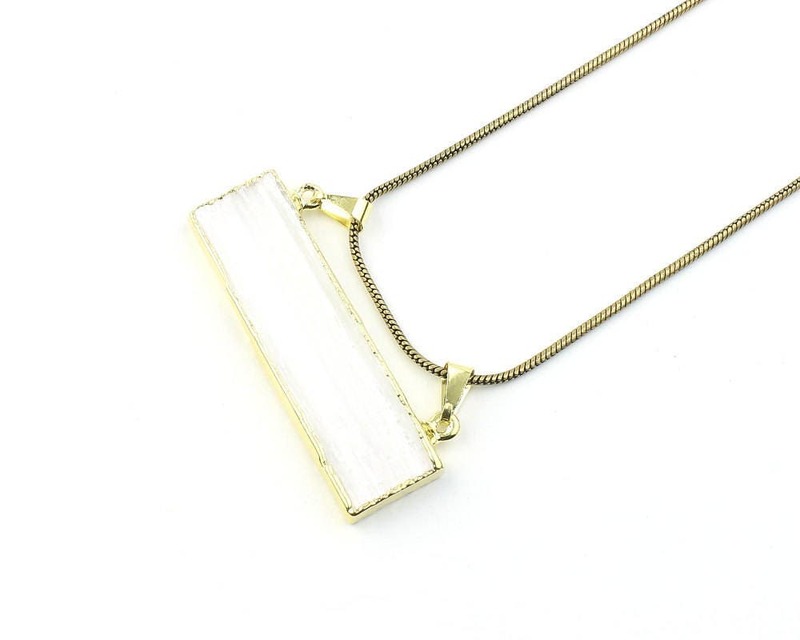 Pendant hangs on brass snake chain. Choice of chain length, 20" or 24" inch.